D. A mission statement: What is the secret formula of the Oblates? Einstein discovered a hidden secret of nature, when he wrote down his formula e = m*c2. It explains how the sun produces its light but also has led to the unleashing of atomic energy. For good or bad, it is symbolic of the present times. It is at this time in history that we Oblates are called to fulfill our mission. What is it that characterizes Oblate mission? All Christians have a mission but what are its specifics in our case? Maybe there also a formula for the Oblate mission? A hidden secret behind its strength that will allow us to fulfill our mission at its best, today? To ask the question about our mission here and now is vital to us. This will be my first point. I will then try to describe the present situation of Oblate mission. Subsequently, in a third step, I shall invite us to spell out its essentials. Can we express it in a short formula that describes and symbolizes its power? Finally, I will propose a few action steps. Why should we say that it is vital to us to reflect on our mission? Simply, because “we are a missionary congregation” (C. 5). Mission, in its specific sense, makes up our very identity! “The call of Jesus Christ, heard within the Church through people’s need for salvation, draws us together”, we say in C. 1, and in C. 5 we add: “We are a missionary congregation. Our principal service in the Church is to proclaim Christ and his Kingdom to the most abandoned”. Mission is what gathers the Oblates and is the main thing for us, our most important horizon. Only if we fulfill our mission of being close to the most abandoned, to bring them the Good News, do we have a reason to exist. Christ has entrusted us with a certain portion of His preferred people, the poor. This affects our existence as a group. Only if we fulfill our mission will we survive as a congregation, because it is only then, that our communities will be alive and able to attract vocations. The mission makes us live, lack of missionary vision would make us lose our health and mean death for us. The question about mission was already the stated focus of the 1986 Chapter and it has been constantly asked again in our subsequent assemblies. Even today, one observes how it springs up spontaneously among Oblates. For example, it was asked at the Latin American Regional meeting in Colombia, February 2006, and at the session of new major superiors in October 2005. It is asked by provinces, when the diocesan clergy is ready to take over our works in Asia or Africa but also when through the lack of priests we come under pressure to fill in the gaps. The Oblate Brothers, through their very presence as part of the Oblate family question all Oblates about their identity. The Brothers have now formed their permanent committee to describe more clearly their contribution to the Congregation’s mission. The different lay associations see mission still from another angle and shed new light on what it means to be a missionary Oblate. In short, it is essential for us Oblates to ask ourselves the mission question. We are sent to evangelize the most abandoned (C. 5) - are we doing our job? What we are sent to be and to do, is spelled out in more detail in Constitutions 1 to 10: identification with Christ and oblation, apostolic community, the cross and the mission to the poor, the Church, priests and Brothers, Mary; we are to help people to discover who Christ is and their own dignity, we are to bear witness to God’s holiness and justice, and make the clamor of the voiceless heard. The general chapters of 1986, 1992 and 1998 said more about the same; in 2004 the Congregation was reminded that they “strongly challenged us to be missionaries, to live in community, to minister through community, and to form our vision and our priorities so as to better meet the needs of the poor and most abandoned. That call is still before us” (WH p. 7). In which sense exactly do we need to ask the mission question today? The 2004 general chapter chose not to make a big new programmatic statement about mission. It was of the opinion that our missionary convictions, at this time in history, call for action. In other words, the capitulants of 2004 saw the challenge of mission in practical terms. “We discerned that our task was to be practical, to offer some concrete challenges in terms of improving our community and ministry. Somehow, the hope engendered in the legacy of the Congregation at this time needed to be transformed into deeds of action” (WH p. 10) After having spent much time in reflection over a number of years, let us then move on to actions. Mission means being sent, it means to get moving and fails if it remains as mere statements on paper! There is a concrete instrument in place, which is meant to help us to ask and resolve the mission question. The Immense Hope project, which was born after the 1998 chapter, targeted our “missionary practices” (EPM 19). At the most recent chapter, we were all mandated to continue with this project. “This General Chapter does not end the Immense Hope Project. It endorses its work and urges every Oblate Unit to continue its efforts to see this as an ongoing process of self-evaluation and strategizing for mission.” (WH, p.8) Have we understood well, the meaning of this instrument? I have the impression we have not yet reaped all of its fruit. According to C. 133 it is the responsibility of the superior general to “continually keep alive the missionary zeal at the heart of our charism, helping to break new ground at the service of evangelization”. So let us start with these questions: is our missionary zeal alive? Are we breaking new ground? Quite often, Oblates I meet want to know: which are your joys about our mission work as a Congregation, and which your sorrows? I connect this to the issue of our missionary zeal, to breaking new ground, as just mentioned above. All Oblates can rejoice when new missions are opening and when we attract new vocations, and when all act in solidarity so that the Congregation can do its work. We may rejoice when missions are established in new countries, as in recent years, in Romania 2000, Belarus 2001, and Guinea Bissau 2003, and others which for certain reasons, we cannot make public. New ground is also broken within already existing missions: a new foundation in the North of Congo, the two communities of Manaus in Brazil, new places in India, in Bangladesh – all these reaching out to the poor and most abandoned. We can rejoice about the missionary zeal of so many elderly confreres who make it clear to us all, that mission never stops, we can be happy about new efforts to build up community and prepare pilot community projects, about the revival of mission preaching and the initiatives of peace building, promoting justice and protecting the environment. It is also good to see when, in spite of declining numbers, we can observe the refocusing of the Oblate mission through a type of restructuring that amounts to re-founding. We can be content, too, about the ordination of the first Laotian Oblate after 30 years and about the increase of vocations in countries we previously had hardly heard of. In absolute numbers of students the top ten are Poland, Cameroon, Lesotho, Congo, Zambia, Haiti, Jaffna, Colombo, India and Philippines, with roughly 30 to 80 people each in initial formation. Percentage-wise, over half of these provinces have one third or more of their membership in first formation and often have to struggle to make ends meet, as they prepare missionaries not only for their countries, but for the world. It is good to see that in the whole of the Congregation, in spite of our overall slight decline of about 1% per year, the number of formandi has increased between 2004 to 2006 from 676 to slightly over 700, or about 5%. It is heartening to read in the petitions for first obedience that many of them are ready to be sent to foreign missions, 65 of the 200 since the 2004 Chapter, that means nearly 33%. To this, we should add the joy of the growing numbers of lay associates and their increasing contribution to our mission, and the signs of life in religious institutes related to us, some of them recently founded. It is good to see solidarity between provinces in sharing personnel and materials; programs like Capital Sharing I, Missionary resource campaign and now Capital Sharing II speak volumes, and much more is happening on a bilateral basis. The Congregation has responded very generously to the Tsunami appeal of 2004 and the cry for help after the Indonesian earthquake in May, 2006. At this point I wish to thank our benefactors; most of our material means for mission is in place only through their wholehearted support. Of course, the sorrows do coexist with the missionary joys. 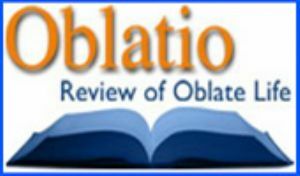 Above all, I am saddened if an Oblate Unit does not have a strong, common vision of its purpose in a changing reality. This is dangerous for numerically declining and growing Oblate Units alike. If a situation of ‘lack of vision or leadership’ lasts, we just continue doing work, even doing good – but the danger is that we do not see the elephant in the garden, meaning the new poor, or that we do not help with all the means at our disposal, including the media, the schools, Justice and Peace work, or that we do not take seriously the laity, forming Christian leaders in society, etc. Lack of vision could spill over down to the community level and put brakes on our personal missionary renewal. People can become immovable if our mission does not move forward and the vow of obedience seems to be no longer operational. The most talented members may drift away. Many may seek to live and work on their own, even if geographical conditions would allow for being together. In addition, the life in communities that do exist, can lack the fire that should come from our total oblation to God and his people. If our community life gets weak, doubts may sneak in about the value of our vocation as religious priests and Brothers. All of us can be tempted to condone a materialistic, non-coherent life style, be it in richer or as well as in poorer countries, to look for affective compensation outside our way of life or not to live up to our vow of obedience. It is difficult to attract vocations in such a situation. Therefore, we need mutual support to be able to resist. Some of the 2004 Chapter statements question us seriously: “Our community life is often weak”; “Our commitment to prayer needs to be strengthened” (see my letter immediately after the Chapter). I am less worried about declining numbers in certain parts of the world. A small group can be very missionary, as was the case at the beginning of the Congregation. Missionary purpose, group coherence and the quality of our personal life is what counts. When Witnessing to Hope speaks of the “needs of the person, of the Oblate as a minister of hope” (WH p. 27) two dimensions of animation are being mentioned, “a). the nurturing of the Oblate in his community and religious life; and b). the formation of Superiors and others sharing in leadership, at the local and Unit levels” (WH p. 27-28). To overcome our sorrows small steps can be effective, be it in the realm of internal renewal, or with some new missionary initiatives that can serve as encouraging signs. From feeling joy and sorrow let us pass on to the external reality of our workplace. In an overview about Oblate mission today, what stands out can be expressed through the phrase “unity in diversity”. The demographic shift in the church and in the congregation is the main factor for this change. Missionaries no longer travel from north (first world) to south (third world), they now start moving in all directions. That means that cultural diversities increase and may become quite confusing as we are called to a multilateral internationality. The demographic shift also implies that we have now less resources for our work, than in the past. Poor missions now depend on provinces that are equally poor, and these Units often have to care for very many people in first formation. At the general house, we are held “responsible … for assuring the animation necessary for a united missionary body” (C. 130). One realizes the existing unity of the body of the congregation especially during international committee meetings and sessions. Also traveling around, it is heartening to see that in so many places on earth, the Oblate spirit of bringing the Good News to those most in need and our sense of family is so similar. However, that does not take away from an increasing diversity. One is surprised how diverse we are. However, with time, it seems to me that the greatest diversity does not lie in the differences of culture but in the special missionary situations, we find ourselves involved in. This is just a personal impression. Let us try an overview. Traveling the world I find that the Oblates are evangelizing the poor and most abandoned in six distinct mission fields. We evangelize firstly in Christian countries, were the gospel has been spread and where Christian communities already exist but where as much work is to be done as in the post-revolution France of Saint Eugene de Mazenod. For instance, Latin America lacks missionaries, especially priests and religious, to reach the most abandoned. The mission fields of many countries lie half-abandoned. Secondly, we are present in the so-called secularized culture, which is thriving mostly in Christian environments, but also begins to expand outside. Here, we are confronted with the intent to explain everything without referring to God, to live for all practical means as if God were non-existent. The mission in such a culture is not rewarding; we may find a certain aggressiveness and mainly a lack of response to the traditional means of evangelization. In recent years, the Oblates have ventured out to meet this challenge by organizing several symposia. One first pilot community and others in the making, and also youth ministry, media work and JPIC, etc. are trying out new ways of being present to this new culture, which through globalization, might spread out further into the world. Thirdly, there are missionaries present in areas where the vast majority of the population belongs to one of the great world religions like Hinduism, Islam or Buddhism. Here other challenges are before us. In such areas, we are committed to the service of the Christian minority but on the other hand, we also need to care for those who have not yet heard about Christ. This is the field of interreligious dialogue, in which my predecessor Marcello Zago has become one of the pioneers in the Catholic Church. Fourthly, we evangelize in societies that have been or are still under totalitarian systems, especially in the communist or post-communist world. Again, we find an entirely different picture. Working conditions for missionaries are often precarious; often times, religious freedom exists only on paper. Oblates in these situations need great patience to achieve something as well as a good amount of support. The fifth mission field that can be distinguished are the situations where the missionary makes the gospel present in tribal cultures. While we are learning to take animist religion more seriously than in the past, very often in this area, conversions to the Christian faith are more easily possible. And the last and sixth area of mission can be located in any continent. In a number of places, our missionary work is done in the midst of violence, war or extreme poverty. In this, we may also include post war situations and the Aids pandemic. Consolation and care, reconciliation and healing are the ways of evangelization in this field. Naturally these categories can only be an approximation of reality. Nevertheless, if we map out somehow, each Oblate in his particular form of mission, it might be easier for us to feel that we are all part of a missionary corps. Getting to know about the different situations and making them part of our prayer support, especially at the hour of oraison, will unite the whole body of the Congregation. Nobody must have the impression that he is forgotten or in a hopeless position. On the contrary, it is the most difficult, the most unrewarding missions that we should be most proud of. One thing becomes clear, looking at our diversity and unity: Communication and exchange become more important than ever. 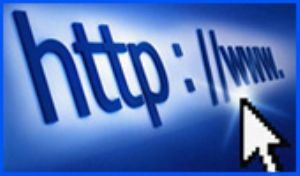 Our common website is an important means in that. 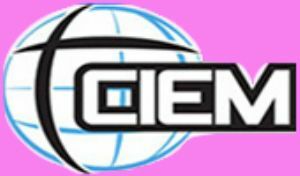 It shows our worldwide reality and facilitates contacts; let us make its content available, even to Oblates who live far away and use it as interactively as we can. We must use all appropriate mechanisms to keep in touch across borders. Such is our missionary presence. From where we are, in these 67 countries, where is God calling us to go further, into the future? We need to listen constantly, to the Master who calls us. Neither for individual persons nor for a congregation, is a vocation an event that happens once in a lifetime. What is our Oblate vocation today, where does Christ want us to go in the present world, so much loved by Him? A striking characteristic of the world in which we live is its complexity. We are becoming more careful in trying to interpret its present and to foresee its future direction. Who would have predicted the fall of the Berlin wall? Who was aware of the spiritual potential of Islam and the power of its radical wing? We may observe with satisfaction, that schematic interpretation models, in the form of ideologies have collapsed, but should regret that critical thinking has weakened, faced with this complexity and that relativism seems to expand. However, the search for a meaning to it all, remains. As Oblates, we have not recently tried to give an overall interpretation of today’s world. Some have criticized this fact. The last chapter has chosen a more modest approach, which will gradually lead us to see the larger picture; it has encouraged each province or delegation to analyze its own social and ecclesial context through the “Immense Hope” process. It has also pointed out at least one characteristic of today’s society: rich and poor alike are in dire need of hope. We might be able to agree on a few more elements of interpretation of the world that we are to evangelize. Einstein’s formula, at the same time that is serves as an example, describes also a fundamental mood of today’s culture. Through the symbol of the formula e = m*c2 we recognize all the unprecedented scientific and technical progress of modern times that has unleashed the power of the atom. The influence of this progress has become global through the ease of communication and of travel. We appropriately speak of the global village, of globalization. At the same time, our relation to the future has become very insecure through this formula’s potential of destruction. It frightens us to recognize that our ethical behavior did not make the same progress as technical things; as a consequence poverty has increased, many wars have been fought even after World War II. This has clouded the initial, modern optimism and therefore, for many our present culture is post modern. The globalized, postmodern mood is characterized by a deep crisis of hope. Such need of hope becomes very tangible for us Oblates through the facts of poverty, war and the aftermath of war, in many places where we live and work. Examples are the twenty-three years of civil-war in Sri Lanka, which have left 65,000 people dead since 1983 and claimed 3,000 lives since the supposed end of the cease-fire in 2005, the Congo war (1998-2002), and the armed conflicts in Southern Philippines (1972 - 1996), Guatemala (1960 - 1996) and Colombia (since 1964). What our answer is, was expressed by the capitulants of 1998 in this way: “As witnesses to, and prophets of, God's love, we want to be men of hope, reflecting the attitude of a God who never abandons his people. … This Chapter, even as it asks us to take stock of both the real pain, that so often marks humanity today and of our limits, also brings to life in us an immense hope.” (EPM 9). While we fulfill our mission in such a complex and dramatic world, there are questions about our mission that recur and could paralyze us if not met. I shall name three of them and point out in which direction the Oblates have started seeking an answer. 1. How do we evangelize the poor and most abandoned that belong to the mainstream culture of the secularized world? We realize that in this difficult mission field, situated mostly in the developed world, we are sometimes just surviving in a niche, for instance working with those who still come to church, or with first and second-generation immigrants. While it is legitimate and necessary to respond to these needs we still should ask ourselves about our missionary approach to people right in the core of the secularized culture. As mentioned before, efforts have been made, through reflection at our institutes of higher learning and through pilot projects. We need to do more for the mainstream people of secularity. Let us continue to identify the most abandoned people in this environment - the poor and abandoned in any culture are those to whom we Oblates are especially sent. 2. Where do we stand in relation to the widespread, dramatic poverty in large parts of the world? This question brings us to look at both the colonial past of many countries and the present injustice done to their people. History will judge about colonialism but we are not just to wait for its judgment. Healing and reconciliation are needed now. Injustice cannot be changed immediately but must be called by its name and be addressed, even by small steps. Oblates have been taking some initiatives in the areas of historical research of the past and social analysis of the present, in taking prophetic stances, in counseling and healing, and in the diplomatic work of advocacy. More needs to be explored. Possibilities to mention are; taking public stances on injustice to counteract the complicity with colonialism of some church members and structures in the past. It may also wake those, who have the means, and the poor themselves, to seek effective responses to the present, unjust suffering. Internationality in mission is another part of the answer to the same challenge. International communities can become a laboratory and a sign through which the cultural and political hurts of the past and the division of the present could be overcome. Also, physical and psychological healing ministry can be a powerful sign of hope and often involves collaboration beyond ethnic and religious divides. 3. How does our mission to proclaim Christ go together with inculturation and interreligious dialogue? We are still discovering the importance of listening to other cultures and religions before we speak, becoming aware of the need of learning the language of the other in the broader sense. Vatican II taught us not only about religious freedom but also about the possibility of salvation of people of other faiths. Archbishop M. Zago has transmitted to the Congregation his experience with Buddhism and the whole church has benefited from his groundbreaking work on dialogue. As a result, we seem to be taking on our mission with more serenity; we feel we need not be afraid of dialogue even if it will take a long time and demand much patience. We recognize that God has his own time. We have also become more respectful of culture and very careful not to propose Western models as the ones supposedly most compatible with Christianity. Against the background of such openness to dialogue and respect for other cultures and faiths, there are voices that cast a doubt on the mission we have received, which is ultimately to make people disciples of Christ and members of the Church. If all can be saved, if cultural diversity is to be respected, why not simply encourage people to live their own religion the best way they can, where they are happy, instead of inducing them to a change? It is good to know thatRedemptoris Missio recognizes that these questions arise. As an answer, it proposes the newness of life Christians experience, and the right of all people to approach the new life: “Why mission? Because to us, as to St. Paul, "this grace was given, to preach to the Gentiles the unsearchable riches of Christ" (Eph 3:8). Newness of life in him, is the "Good News" for men and women of every age: all are called to it and destined for it. Indeed, all people are searching for it, albeit at times in a confused way, and have a right to know the value of this gift and to approach it freely.” (RdM 11) . This type of response does not contradict dialogue and inculturation but makes us Christians more sure of the newness of our identity. We cannot pretend to have already found an exhaustive answer to the three questions spelled out in this section. They will remain with us, they still need be listened to. However, we cannot shelve our vocation and just wait. God keeps sending us. The way we think about mission influences deeply our way of acting. Frequently our assumptions about mission are not very conscious. While this may be excused, since in many cases we did not receive a specific initial training for missionary work, we cannot dispense ourselves from reflecting on our missionary experience and pursue the ongoing formation and development of our personal and communal missiology. Let me share with you some of my personal convictions, in case they may contribute to the missiological underpinnings we need today for our work in a changing world. There are formal mission commands in the New Testament, for example, at the end of Matthew’s gospel when Christ sends out his disciples to preach the good news to every creature on earth. (Mt 28:19) Today’s missiologists often prefer to ground the Christian mission in the Holy Trinity. Mission is not just the result of an explicit order, it forms part of a deeper dynamic. “As the Father has sent Me, so I send you”, (Jn 20:21) is how Christ explains our mission in the gospel of John. According to God‘s eternal design, the divine love was to be communicated to us in the fullness of time, when the Father sent us his living Word, his own Son. God subsequently communicated the Spirit to us so that this Word could be understood and transform us. We can conclude from the trinitarian theology, that God himself, out of his love, is the first missionary. 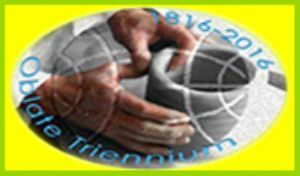 Consequently, we cannot become missionaries without entering into this trinitarian dynamic. Can we interpret the Oblate cross as the symbol of the trinitarian origin of our mission? God the Father sent the Son the take up the cross, to die, be resurrected by the power of the Spirit and so redeem the world he loves so much. The cross we are given at our final oblation reminds us simultaneously of God’s love and care for us and also that it is our distinctive sign, which marks us as co-redeemers. In taking up our cross, we proclaim to the world, the all encompassing love of God, the mission of His Son and our own mission in the Spirit. If the Father, in sending Christ and the Spirit, reveals himself as love and as community of persons, the object of our mission is not only to proclaim this revelation but also to build up communion in God’s Spirit - ultimately in the kingdom of God, through the service of the Church. Therefore, the subject of mission is most appropriately a community, in that it can never be an isolated person. Mission is essentially linked with the Church, the place where the new life in communion with the risen Christ is first lived. It proceeds from the Trinity to the Church and then, through its individual members, it may go out to the world. The US theologian Michael Downing has made the statement: “It is not so much that the church has a mission; it is rather more that the mission has a church”. It is not that the church or some of its members take on a mission, it is the other way round: God’s mission creates a church at its service. The same mission of God has also the Oblates at its service. It is the Holy Spirit who created us, the Oblates, it is His charism that allows us to witness to the Divine Love and to do so through our religious community. That communion can go even beyond the church when we work with Christians and non-Christians alike in allowing God's Kingdom to come. Due to the pressure on us, have we become too hectic in our missionary work? There is so much to do and it will always be; missionaries will never be unemployed! Precisely for this reason, it seems we would need a stronger missionary spirituality. We cannot respond to all the demands, not even perceive them appropriately, without the Spirit. We may remember the theologian Karl Rahner who once said, “the Christian of the future will be a mystic or he will not be”. 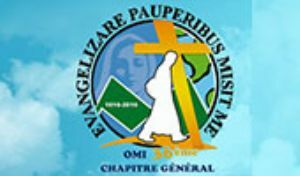 I recently realized that in our congregational motto Evangelizare pauperibus misit me we do not mention the subject. Who has sent us to evangelize the poor? According to Luke 4 it is God, or God’s Spirit (the exegetes among us might be able to clarify this). Spiritus Domini evangelizare pauperibus misit me would be a more complete motto expressing more clearly who sends us. This is our mystical grounding. We should be very grateful for such a call. 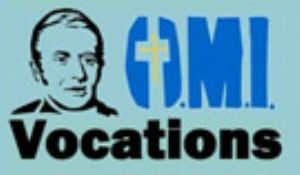 Mission is an affaire of the whole church, inscribed in its genes, constituting its essence, but we Oblates have been singled for mission in a special way. We live our oblation as celibates and through visible apostolic communities. All Christians but even more so religious missionaries feel with more intensity today, that they are a minority in this globalized and often secularized world. The strength of minorities, sociologically exists in displaying a strong identity. Let us be proud of what we are, and make it visible. Let us have the courage to be openly different, through our lives and actions, to the point that others can see us as prophets. We have been sent as prophets, and prophets are to transmit God’s message through words and actions, through their existence. “Our evangelizing, must be integral: that is, that we proclaim explicitly Jesus Christ, that our lives witness to what we preach, that we be really involved in the transformation of the world.” (EPM 15) Mission is an act of love, nourished in the Divine Love, that seeks to bring effective help and does not stop at mere words, that wants to transform each person but also the structures of the world. Mystics and Prophecy – a motto of the Latin American conference of religious CLAR – when put together, prevents us from becoming introverts without reaching out, but also from just being social workers without being connected to the Vine, Jesus Christ. The Oblates have always been good at reaching out to the most abandoned, of being close to people. They also know that it is Christ’s pascal mystery, which saves and leads to new life. A truth our Oblate martyrs, modern mystics and prophets, lived to the full. Coming back to Einstein once more - is there a short formula to express what Oblate mission is? What explains its extraordinary power in the past and can still unleash it in the future? Our Founder started with his personal mission work. Finding the youth, the employees and the prisoners of Aix in such an urgent need he started on his own. After having fallen seriously ill, he realized that the task was too big for him. From that time on, the Oblates came into existence. In order to come to a formula let me start with an image. Please just imagine one of the mission crosses planted by the first Oblates in the villages of Provence. I believe, here we can find the ingredients for our formula. These ingredients are: into the midst of people who were among the most abandoned of their time - Christ the Savior’s cross is brought - by an apostolic community. Are not these the three essential elements of Oblate mission? Is this not our essential mission statement? Playing around a bit, we could say it in mathematical language: bringing hope to the poor (H) is equal to Christ’s cross (C) multiplied by a witnessing community (W) (or if do not find it exaggerated, by the square of such a witnessing apostolic community). Therefore H = CW2. Let us put it in the language of the last general chapters: Being at the service of the most abandoned - we bring them the Immense Hope of Christ - by means of a community that dares to cross borders. Let me make a few comments on our mission statement in the light of the chapter mandate. I submit, as a my principal remark on this: we need to focus. With Saint Eugene, we may exclaim: “How vast the field that lies before them! How worthy and holy the undertaking!” (Preface). The field is too vast and it is evident that we need to focus, as our Founder did when he called his group “Missionaries of Provence” in contrast to the “Missionaries of France” of his friend Forbin-Janson. Sometimes we have a ‘messiah complex’ – we think it is up to us to redeem the whole world. As in the founders time, clarifying our limits is still necessary today. This sometimes painful exercise is an important responsibility of each community and Unit, and its leaders, the superiors will need the advice of their councils and other people. We are missionaries of hope, not of immediate fulfillment. Bringing immense hope with limited resources, is our mission. Even if in a given place we are many, we still need to focus, matching our means with the work at hand and then making prudent, strategic choices in favor of the most abandoned, those in most need. To the poor we owe a missionary work of the highest quality. Quality means spiritual depth and professionalism at the same time. It means to specialize, not just to cover a vast terrain acting superficially. We want to sow the seed of God’s Kingdom, profoundly transforming the lives of the individuals, the families and society to whom we minister. We cannot change everything but by making choices, we can do something that has the quality of leaven, which will, with time, transform the rest. “Respond to the thirst of our world for hope.” (WH p. 13), that is how the last Chapter describes the content of our mission. Loss of hope is the big danger of postmodernity, and also affects us Christians who live in the present time. How do we raise hope in ourselves? We need an intense “mystical”, spiritual life! All that C. 33 says about the Eucharist, the Word of God, the Liturgy of Hours, the prolonged silent prayer and reconciliation is not exaggerated. We may find nourishment especially in Scripture texts that speak about the exile, or in second Isaiah, or in Exodus. How do we transmit this hope? While some means of communication are less understood in a culture formed by the media, there are still many simple ways to transmit the hope of Christ: attention to the person, hospitable communities, care of the poorest of the poor. St. Eugene and his companions, as well as Blessed Joseph Gerard, would not wait for people to come to them, they would go out and visit, giving preference to the sick, even those dying of contagious diseases. 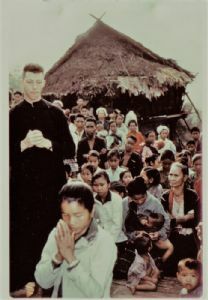 Besides announcing the word where possible, Oblate missionaries have always built schools and formed leaders, established hospitals and promoted agriculture, defended justice and change of structures, promoted peace and advocated for their people, putting the voiceless in a position that their voices could be heard. 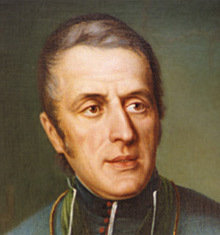 We have many examples in the congregation of witnesses of hope in the midst of very difficult situations, among them prophetic figures like Blessed Joseph Cebula, Albert Lacombe, Mauricio Lefebvre, Bishop Benjamin de Jesus and Archbishop Denis Hurley, to name just one from each Region. One of the new, practical suggestions of the 2004 Chapter is the “establishment of new international pilot communities of Oblates” (WH p. 24). We are called to start new endeavors, as community. If the community does not want to take risks, the more creative elements of the Congregation often break off into individual endeavors which do not always find support from the rest of the province and so may lack continuity. We are called to start together from the beginning, even if success is not guaranteed. Before Joseph Gerard’s African mission became a success in Lesotho, the Oblates had to try out Algeria and Natal, without much results, but since these were community based efforts they could be carried forward into the future. The pilot communities are characterized as international. The 2004 chapter letter makes the statement: “if [our recommendations] were to be seen as colored by a common motif, it would be that of internationality” (WH p. 11). If the sociologists speak of the global village, if the church sees itself as the people of God in which no one is a foreigner, if our future is the definitive communion of all, in a new heaven and a new earth, we as congregation present in over 60 countries, should play our internationality much more to our advantage, than we are doing right now. This applies to sharing of personnel and temporal goods but also to the transmission of expertise, to facilitating necessary training and sharing new missionary approaches with one another. As a model for such daring and pluralistic pilot communities, we may well take the community of the apostles at the time of Pentecost. If we are united in prayer and fired by the Spirit, having among us Mary the mother of the apostles in virtue of Jesus’ words from the cross – is there anything that could stop us? Commitment to bringing hope to the most abandoned of our time, faithfulness to Christ the Savior and witnessing as an apostolic body, this is the secret formula that explains the Oblates extraordinary strength during the past 190 years. From this list, could we derive, let us say three imperatives, for our life as missionaries? Given that “the focus of the 34th General Chapter has been to translate hope-filled words into concrete actions” (WH p. 43) – here are three things, based on our mission statement, on which we might choose to act. 1. As persons and as a community, let us slow down more often for contemplation! This implies a change of attitude, of personal and communitarian life style, away from the ‘messiah complex’ and a culture of frenetic activity. The missionary encyclical says: “Unless the missionary is a contemplative he cannot proclaim Christ in a credible way.” – “… the one who proclaims the "Good News" must be a person who has found true hope in Christ.” (RedMiss 91) On the other hand, great mystics like Theresa of Avila or Dag Hammarskjöld have been very active people. If we take some time off for pure contemplation, we will become contemplative while at work and we will become more credible, fruitful and effective in our actions. 2. In all missionary work, let us keep evaluating the quality of our mission! This applies to all Oblate work. Let us take the example of parish ministry, since a vast number of Oblates use parish structures for their mission. These need to be evaluated according to our mission criteria. Many of the above-mentioned suggestions of the Chapter, can be applied to parish work: “parish mission preaching”, “revitalizing our missionary methods” (“catechesis, pastoral practice, liturgy”), “continuing reflection on mission and secularity”, “interreligious dialogue”, “promote Justice, Peace and Integrity of Creation”, “develop a Youth Outreach”, “use and evangelization of mass media” “vocation ministry” … In our parishes, can we be seen as missionaries, are we still crossing new borders to reach the most abandoned? Does our community spirit encompass the laity so that we work in partnership with them? This is the quality test we need to undergo. 3. Let us start one or two pilot communities in each province, or combine efforts among provinces! St. Eugene learned at the seminary how to work through core groups. What at the St. Sulpice seminary was the so called AA group, became in Aix the youth sodality of Mary Immaculate; both would aim at influencing the surrounding milieu. He saw his youth as a core group, and so too the Oblates. Could today’s Oblate communities function in similar ways? The idea of pilot communities is the fruit of the last few general chapters and expresses their vision well. It could be made reality in core groups of mission preachers, or communities dedicated to evangelize the secularized world in new ways, or Oblate centers for interreligious dialogue - all acting as a leaven in the dough. We have seen that our Oblate mission is very diverse today but that within the diversity, the unity of the Congregation can be clearly perceived. There is such a thing as an Oblate formula, a common mission statement that characterizes us. Following it, we will work to our best. Our unity is not limited to a common statement; we also form a real family. We can strengthen the whole body of the Congregation if we seek to be in contact and to support each other. As we profit from each other’s experience we will discover the ways of mission more precisely. We learn to work together internationally and grow to our full potential as a missionary force. Our aim is to bring hope to this world so loved by God, working in a limited number of places where our mission is needed most. Let us start with little steps as indicated in the previous section. Let us “be faithful in little so that we may also be faithful in much” (WH p. 43), according to the concluding message of the last Chapter. In addition, this letter is just a small contribution to our reflection on mission, an encouragement to continue to evaluate our practice as evangelizers and to sharpen our missionary sense. The Congregation is a learning network and as new contributions to our missionary vision arise, we may have further exchanges. Energy equals Mass multiplied by the square of light speed. This formula stands for the power of atomic energy; it explains why the sun is giving its light but it also facilitates nuclear weapons. "Virtually no progress" has been made in eradicating hunger since the 1996 World Food Summit set a target date of 2015 to halve world hunger, according to the an October 2006 report released by the United Nation's Food and Agriculture Organization (FAO). As of 2001-03, 854 million people were undernourished and more than a billion people in the developing world live on less than a dollar a day. Poverty and Hunger Reduction is the first of the eight Millennium Development Goals (MDGs) which were agreed at the United Nations; nearly 190 countries have subsequently signed up to them.